When is a SARS Tax Court case win actually a loss for the fiscus? 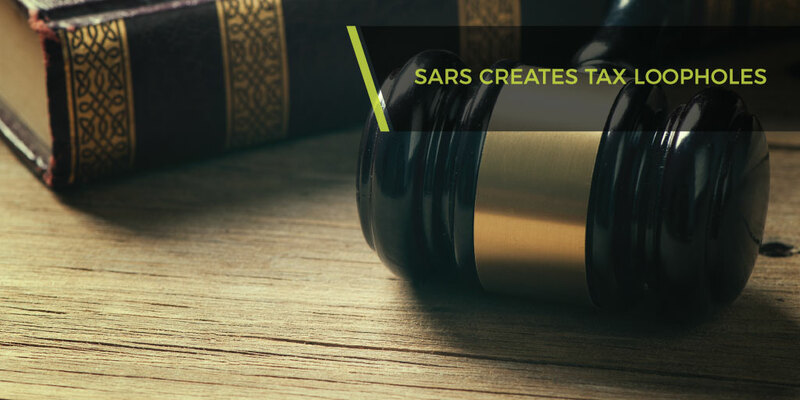 After the recent SARS court case, dealing with the taxable income of foreigners working in South Africa, it is hard to argue that no-one is working harder than SARS to create tax loopholes for expatriate employees. If anyone in SARS disagrees, they may consider appealing their own win to the High Court or even Supreme Court of Appeal, to reset the well-established principles and balance of international and South African tax law applicable to foreigners working in South Africa. On 9 March 2018, the Tax Court, Western Cape Division, delivered judgment in Case no 14218 in the matter of Mr X v the Commissioner for the South African Revenue Service. The line of attack by SARS and loss for Mr X may herald the greatest ever tax win for expatriates and if we knew Mr X’s identity, he must surely be on all foreign nationals’ Christmas Card list. Mr X is employed by ABC Incorporated (‘ABC’), the South African branch of a company incorporated in the United States. Mr X’s total income from his employment with ABC for the 2014 year of assessment amounted to R10 437 708. Mr X in his tax return, declared an amount of R6 367 943 as income earned for services rendered in South Africa. The residual amount was attributed to services rendered outside South Africa, which Mr X contended should not be included in his taxable income. The argument put forward on behalf of Mr X, had a more familiar ring to it. Counsel argued that the originating cause of his remuneration was the services rendered by him to his employer, and that such originating cause was located at the place where the services were rendered, being outside the Republic of South Africa. The court zeroed in on the double tax treaty with the United States (‘the DTA’) and stated that the entire dispute hinges on the definition of ‘where the employment is exercised’, as provided for in Article 15 of the DTA (Dependent Personal Services). The court then went on a linguistic tangent before it delved into section 23 of the Companies Act and certain contractual aspects of Mr X’s relationship with his employer. For a brief moment, it seemed that sanity would have prevailed where the court cited the celebrated passage from Watermeyer CJ’s judgment in the Lever Bros-case, which explains how the source of income earned is to be determined. It appears, however, that the court merely paid lip service to what is unquestionably the leading authority on source. The outcome for Mr X is that his total employment income, including that earned from rendering services outside South Africa, is regarded as being fully taxable. The outcome for South African jurisprudence is, arguably, more devastating. ‘Employment is exercised in the place where the employee is physically present when performing the activities for which the employment income is paid. Still, even in the absence of the OECD Commentary and the SARS Guide, the court’s interpretation should not have been any different had it used the correct interpretive approach. Article 3(2) clearly states that terms should be given the same meaning ascribed to them under the tax laws of the country interpreting the DTA. It is important to note that this provision is very specific, in that it requires the relevant terms to be interpreted through the prism of tax law and that such meaning must prevail over any meaning thereof under other laws of the same country. On the strength of this prescript, the term ‘where employment is exercised’ must be interpreted in accordance with South African tax laws. There is no need to consider the VCLT or other fields of South African law, such as the law of contract or the Companies Act, which preoccupied the court’s mind in this instance. Seemingly, this is where a red herring was dragged across the court’s path. The court interpreted the term without due consideration to what the term could mean in the context of our domestic tax law specifically. There can be no doubt that the term under consideration pertains to the determination of the source of employment income, which is a settled concept in our tax law. If the court had interpreted the term in accordance with Article 3(2) of the DTA, by giving it the meaning contemplated by our tax law, it would not have offended any rules of interpretation. The words of Watermeyer CJ in the Lever Bros-case were all the court needed to avert this misfortune. However, despite quoting the relevant passage from the case, the court misinterpreted the term to mean something other than where the services are physically rendered. This judgment clearly flies in the face of what has been entrenched by decades of jurisprudence, the OECD Commentary and what is categorically confirmed by the SARS Guide. The problem often faced by judges is that the tax dispute can only be decided on the evidentiary documents in front of the court. Without having sight of what the taxpayer’s tax practitioner did prior to the appeal, when requesting reasons for assessment (rule 6), preparing the objection (rule 7) and filing the notice of appeal (rule 10); it is hard to comment on whether Mr. X’s legal team did a good job. If they did, they should appeal. Why would SARS take a matter to court which is in direct contradiction with what is generally accepted as trite law and even spelled out in its own Guide? Perhaps we will only know when the next issue of the SARS Guide hereon is published, recognising the court’s decision as part of SARS policy, or perhaps better leave their own guide unchanged, in contradiction with their Tax Court ‘victory’. Just before we get too excited, it should be noted that Tax Court does not have any inherent power and its decisions only have persuasive value and does not bind the Commissioner or taxpayers in other matters (section 173 of the Constitution). Expatriates should thus proceed with caution on how they enter into employment agreements and adopt a well-considered tax strategy before jumping to complete tax-free conclusions.